Julien Lacusta is a troubled soul, born into tragic circumstances, and raised in a violent time. 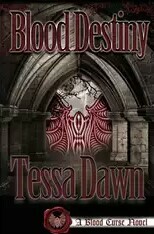 Despite being a Master Warrior in the house of Jadon, and one of the most elite trackers the Vampyr have ever seen, he is damaged to the core: tormented by endless shadows, haunted by unseen ghosts. 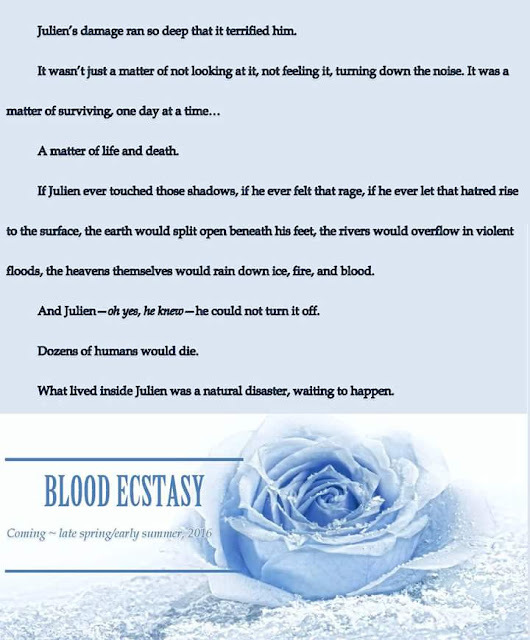 And he knows—by all the celestial gods; he knows—that if he ever releases those demons, the beasts that lurk within, there will be hell, fire, and brimstone to pay. The very earth will suffer. 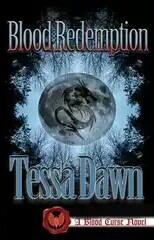 Rebecca Johnston is fighting hellhounds of her own: a stalker who won’t let her go, an enemy she cannot defeat, a life that is no longer safe…or free. 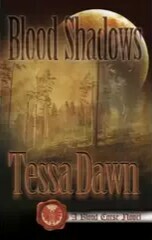 When she ventures into Dark Moon Vale to raise funds for a worthy cause, she has no idea that she is knocking on the door of fate. 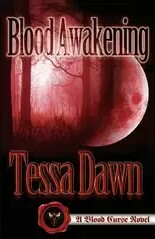 She has no idea that an ancient Blood Moon and an inescapable dark Curse are about to change her life. 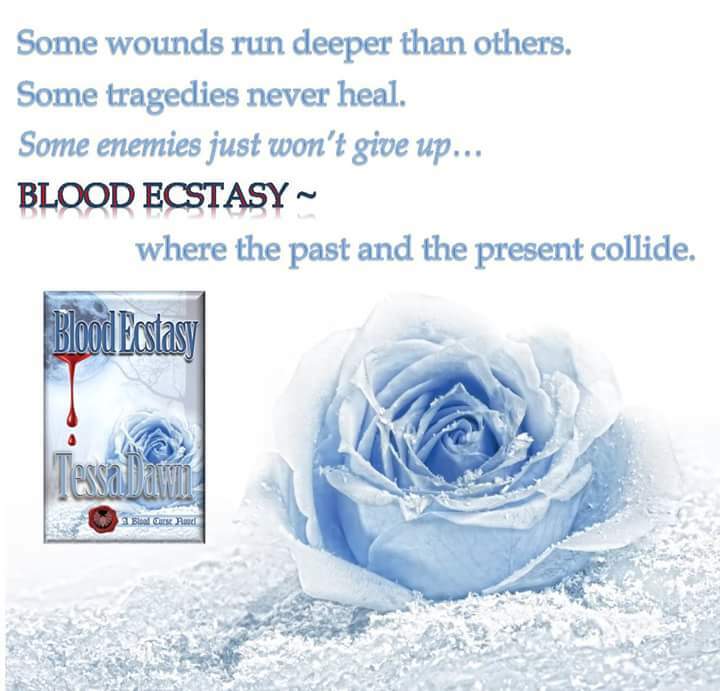 Caught in a web of ever-increasing danger, the machinations of an ancient foe, and a burgeoning house of lies, Julien and Rebecca must summon their courage, face their fears head-on, and fight their way through the chemical allure of BLOOD ECSTASY. 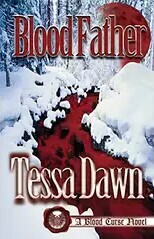 Tessa currently splits her time between the Colorado suburbs and mountains with her husband, two children, and “one very crazy cat.” She hopes to one day move to the country where she can own horses and what she considers “the most beautiful creature ever created” -- a German Shepherd. 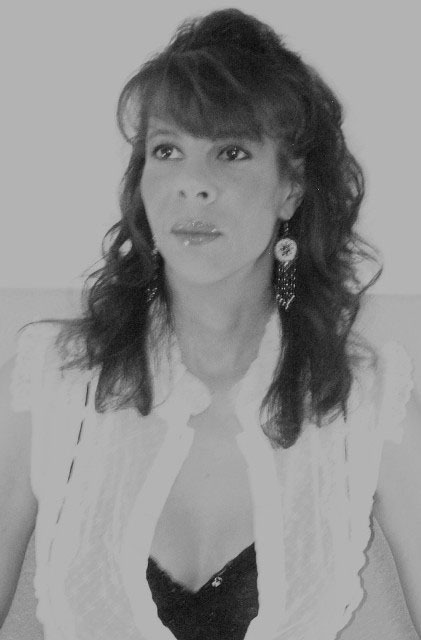 She is a member of NINC; SFWA; RWA(PAN); and RMFW(PAL). 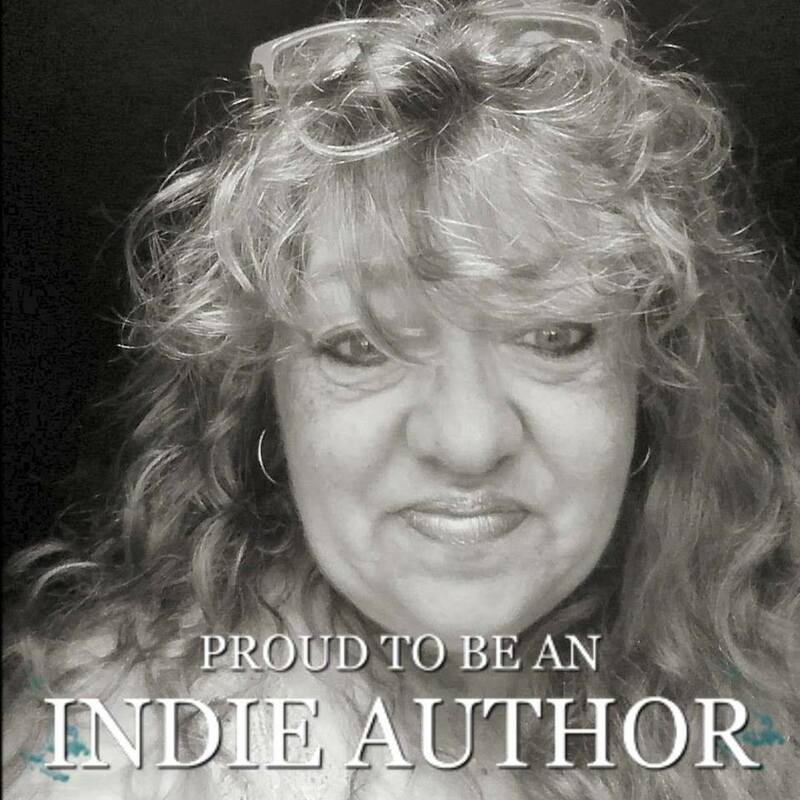 Thank you for sharing this New Release! This is an Awesome Series! 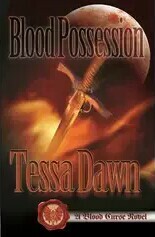 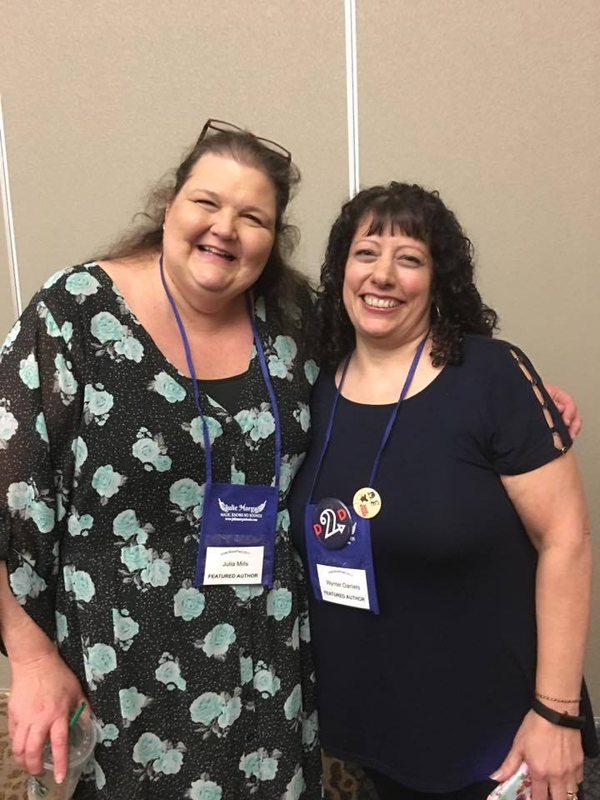 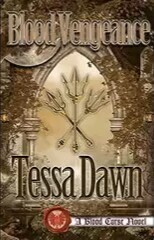 Thank ye for having Tessa Dawn, I simply adore this author and the entire Blood Curse Series, so excited to read Blood Ecstasy! 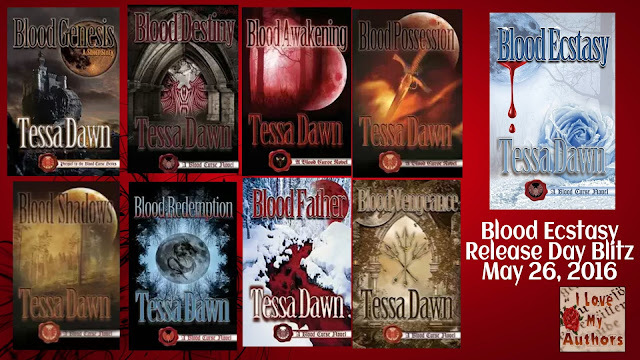 Amazing Author & Series! 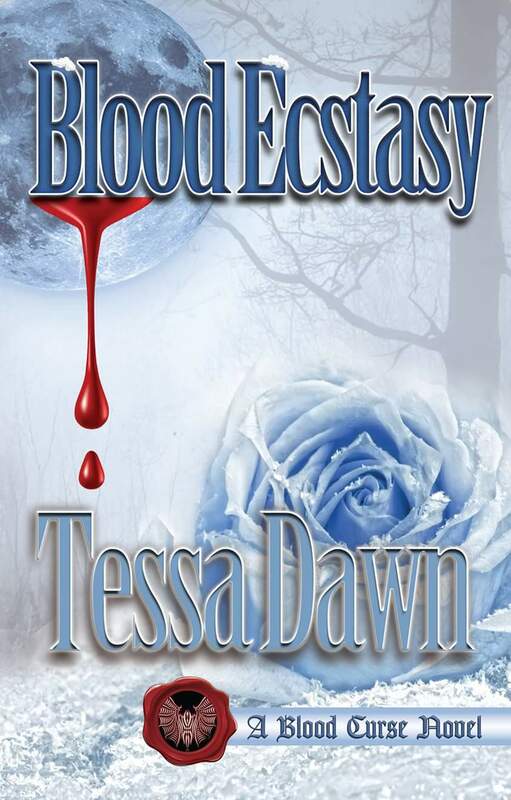 Thank you for sharing Tessa's new release on your blog! 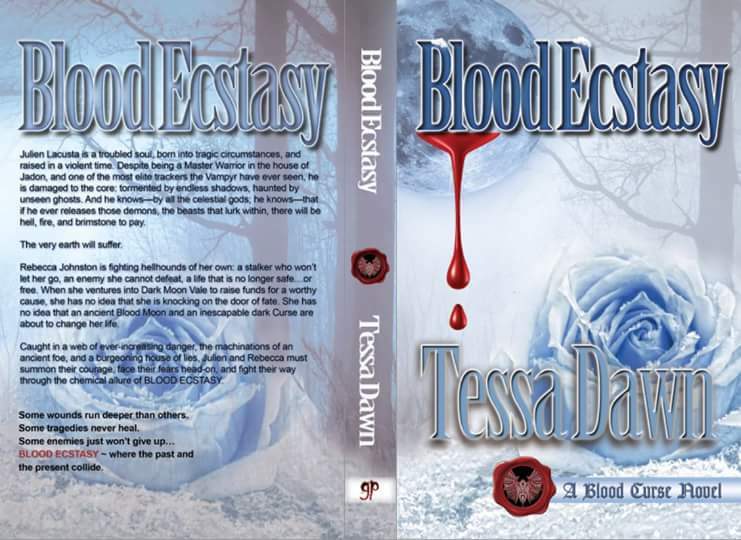 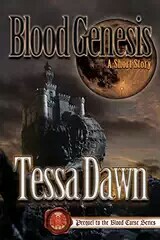 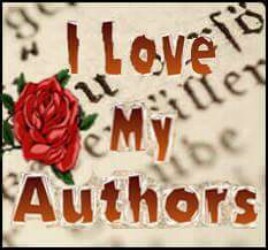 Thank you for sharing Tessa Dawn's amazing writing, and Blood Curse Series with all your followers.